Planning has kicked into high gear for our sixth event and many of the pieces are falling into place nicely. 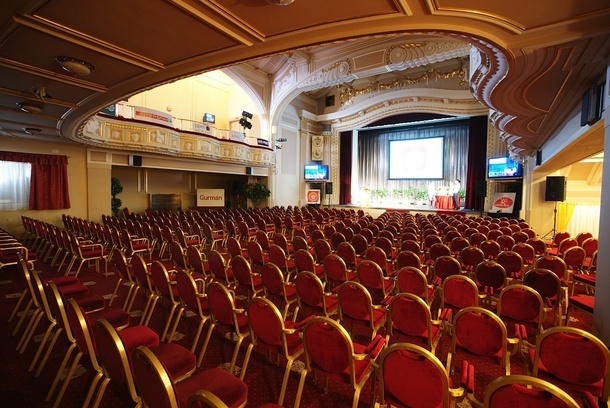 We are really excited with the location we’ve selected in the heart of Prague. We already have over 100 people registered for the event. The first round of abstracts have been submitted and we have a lot of great speakers and sessions to pick from to fill the agenda. With this years event expanding to one and a half days, we have a little extra room for more sessions and we wanted to put out one last call for abstracts. And, don’t forget, Social Connections is a user group event for IBM Connections. It’s not all just about known and established speakers, we love to encourage new and upcoming speakers to contribute. To gain an impression of our past agenda, take a look at our agenda for Social Connections V in Zurich last June. Each session slot is 30 minutes and should be given in English. Some exceptions will be made this year for sessions being presented in Czech. We will have limited interpretations services available at the event. Administration & Infrastructure: How to do it? What do you need to set up and maintain a good IBM Connections environment? Installation, setting-up, security, integration and anything else that you need to know to administrate a stable environment. Development: How do you develop for IBM Connections? Building plug-ins, widgets or doing customizations and integration. Anything related to extending the IBM Connections platform. If you have an exciting story to tell or a unique process to show, don’t hesitate to submit an abstract! The deadline for submitting an abstract is 30th March 2014. We look forward to hearing from you!